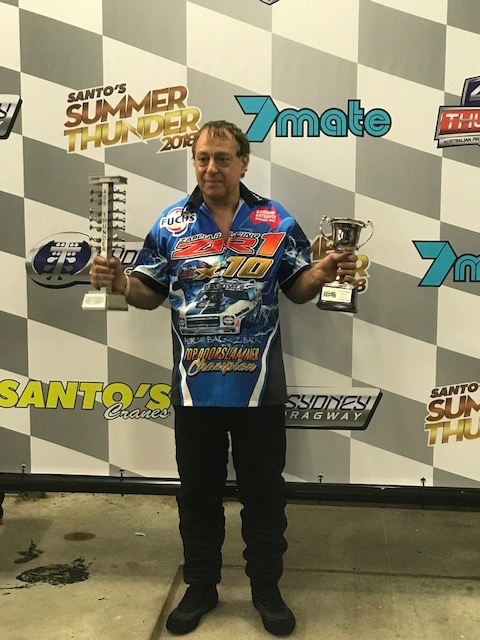 The 400 Thunder Pro Slammer championship continues the battle between John Zappia and Paul Mouhayet as they went toe-to-toe at Santo’s Summer Thunder in Sydney on Saturday. 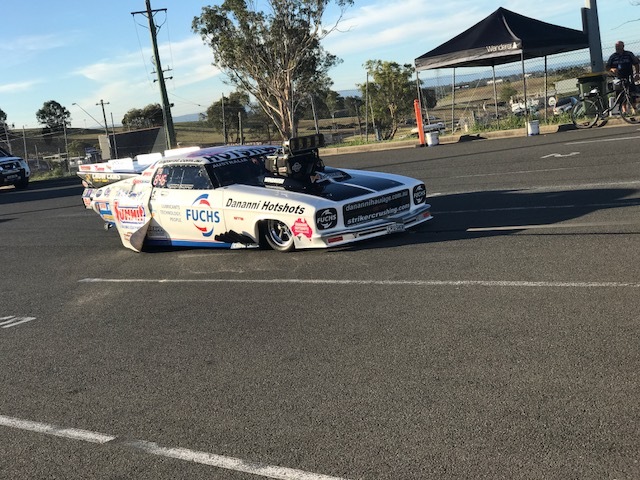 After recording two wins and the quickest two elapsed times of the opening two rounds, Zappia earned his final round place against Mouhayet where a big wheelstand in the Fuchs/Dananni Hotshots Monaro cost him the race and saw the points lead return to Mouhayet. 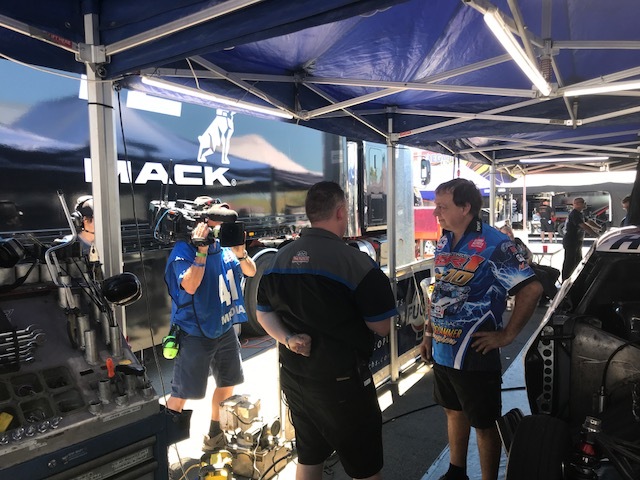 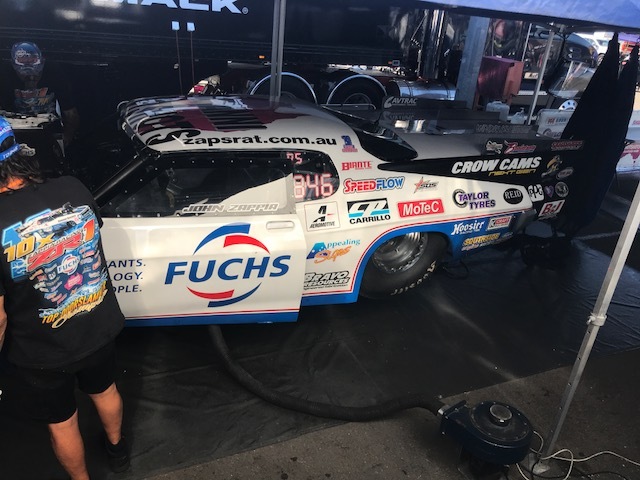 “We ran a 5.65 in testing the night before race day using our set up from Willowbank and that was what we used for the final,” Zappia said. 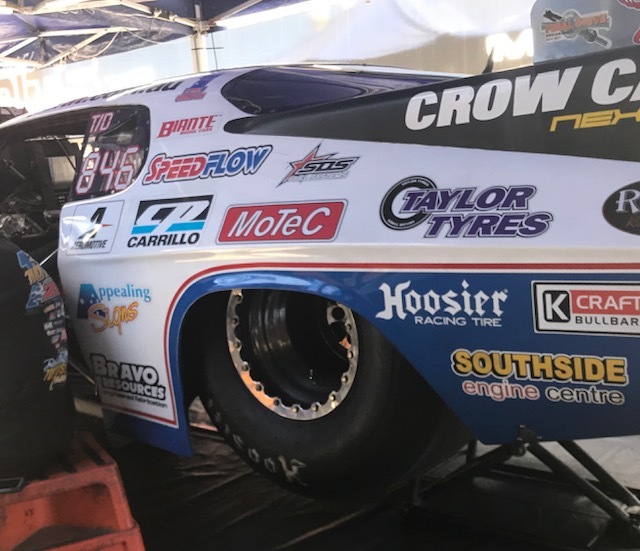 “Unfortunately the track was a little different, more slippery early and then really grippy after 60 feet, so we took off with a lot of wheel speed and then it was able to carry the wheels and get out of the groove. 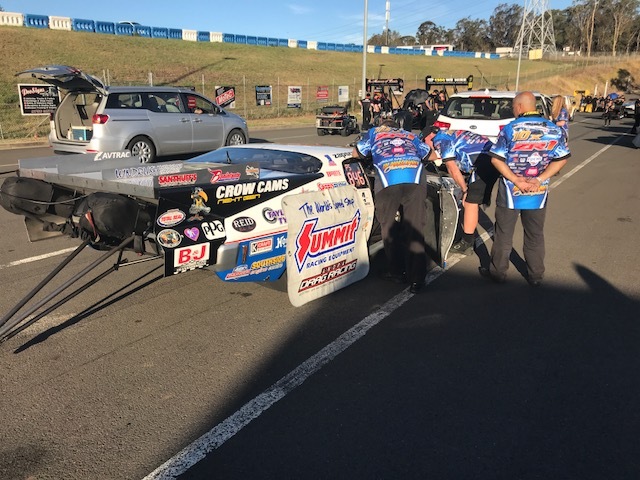 While he left Sydney without the win, Zappia was happy overall with this eastern swing which included a win in Willowbank. 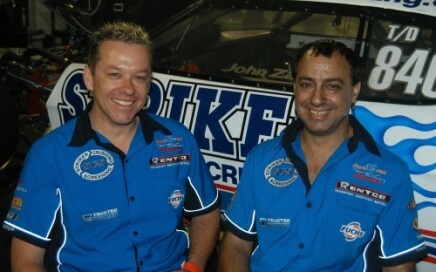 “All in all it was an excellent couple of events. 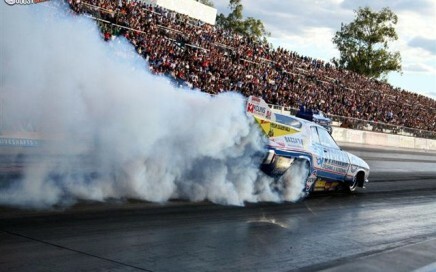 We started 28 points behind Mouhayet, we were three points in front and now only nine points behind. 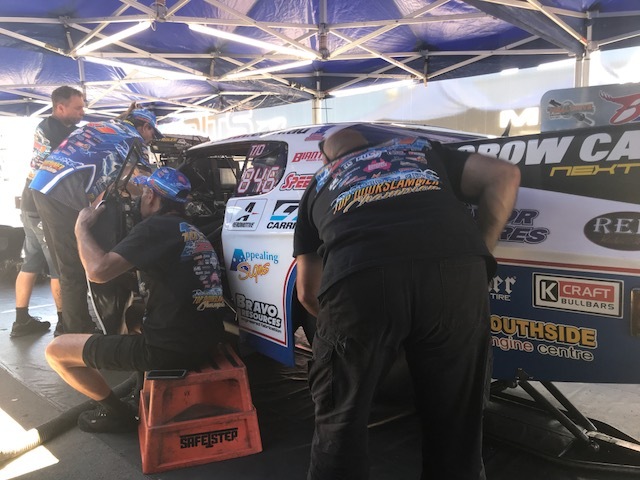 While Zappia was forced to give up the points lead on Mouhayet’s home track, the game will change for round five of the championship Zappia returns to his own home track of Perth Motorplex for the Westernationals on March 3 and 4. 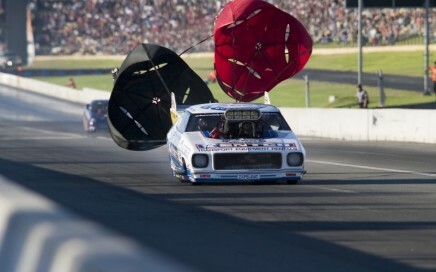 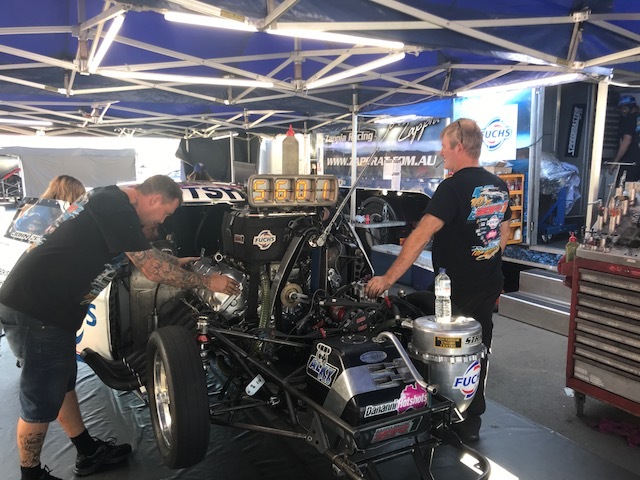 “Paul and Moits Racing have a lot of experience at Sydney Dragway but they have only been to the Motorplex once and that was in their turbocharged Mustang,” Zappia said. 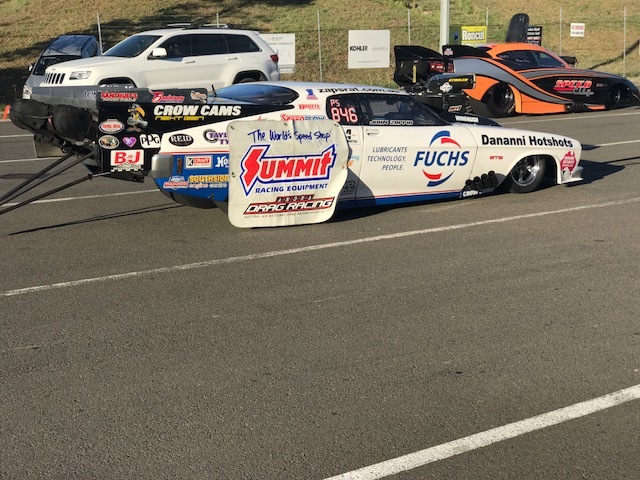 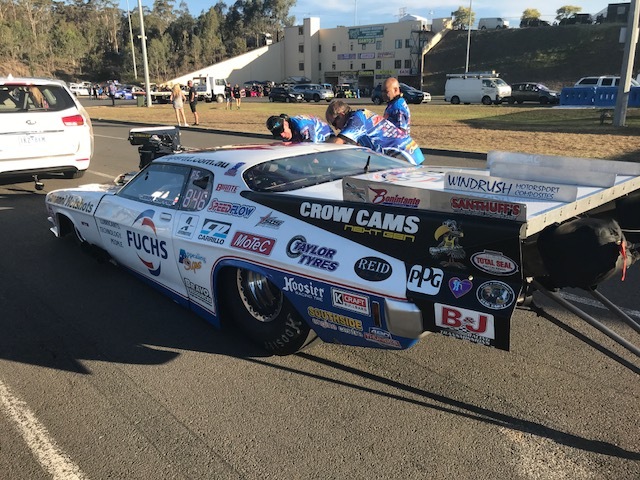 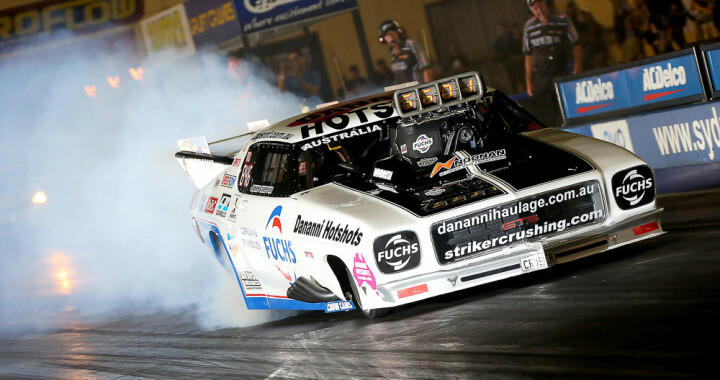 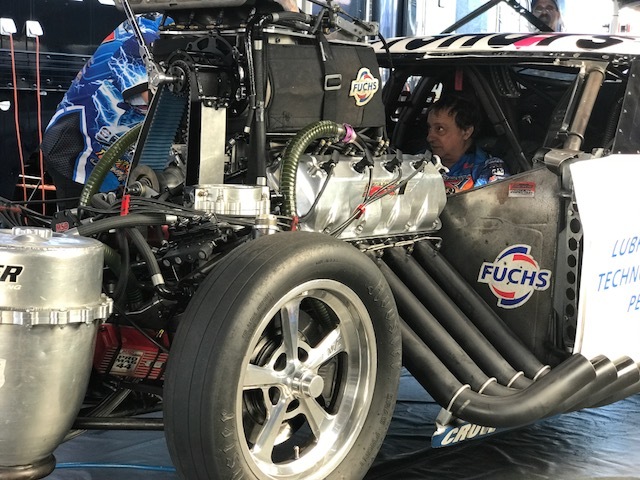 Zappia and team will test the Fuchs/Dananni Hotshots Monaro at the Nitro Night event on February 17 at Perth Motorplex as part of the Direct Mining and Industrial Summer Slam series. 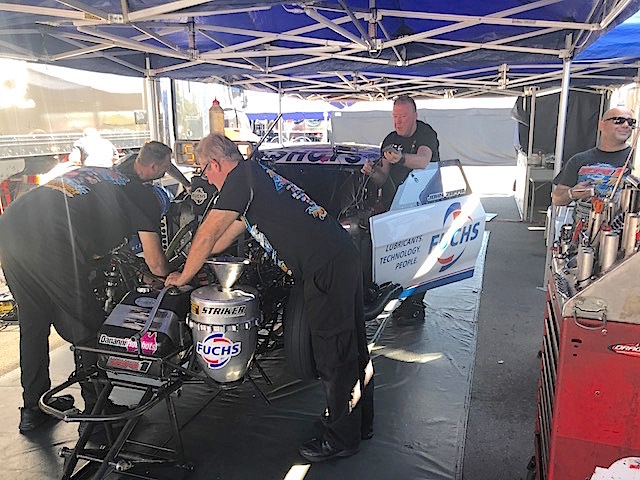 “We will go into R&D mode and see if we can find anything else, then we will go into The Westernationals with our best combination,” he said. 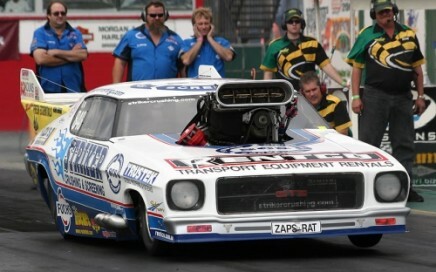 And with the battle royal of 400 Thunder Pro Slammer coming for the Westernationals, Zappia urged drag racing fans to turn out in force and support what will be a world class event. 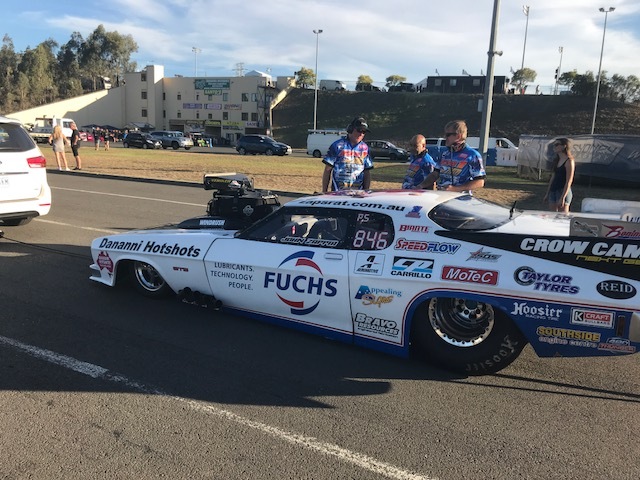 “I’d like anyone who considers themselves a fan of Zappia Racing and the Fuchs/Dananni Hotshots Monaro to get to Perth Motorplex on March 3 and 4 because this is going to be one of the great events of all time at Kwinana. 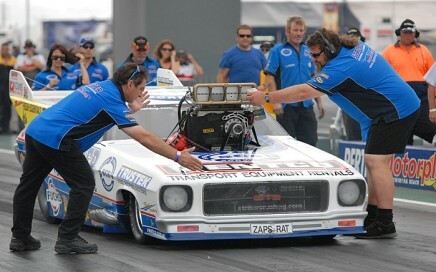 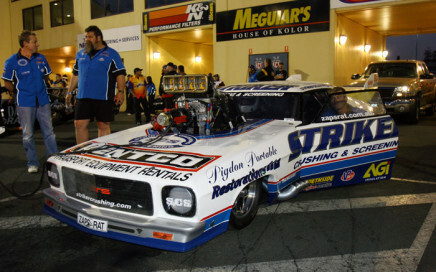 For more details on the Westernationals, head to www.motorplex.com.au.